This course is designed as an introduction for students wishing to develop their competence and skills in understanding and application of services within the construction industry. It may also be beneficial for students who possess a working knowledge of the topic and wish to improve their presentation skills. On completion you will have a working knowledge of the various sections within construction services and appreciate how it is all integrated to suit industry requirements. The course content consists of lessons as detailed below based upon a reference book and requires a considerable amount of research using publications within the construction industry. We recommend students have a suitable mentor to assist with their studies for the duration of this course. We’ve tried to include all you will need to know here but if you have a question not answered here please ask. Premier School of Building have helped students for almost 20 years to succeed in their chosen construction careers, and with a range of courses from Civil Engineering Technology to Sustainable Construction, our courses allow students to add to, and improve on, their existing workplace skills. Our courses are designed to introduce students, apprentices, established trades, contractors and site managers to construction basics with advancing detail as each course progresses, these courses have improved the knowledge of hundreds of construction professionals and apprentices alike. The depth of topics has improved vastly over the years, with employers using our courses for employee development. Each course is valued as an excellent way of learning whilst working. As members of the Association of British Correspondence College (ABCC), you’ll be sure to receive a high standard of education, helping you succeed in the construction industry. Distance Learning allows you to build skills and develop knowledge in your own time, from your own home or place of work. Many of our students don’t have access to a local college; others simply don’t have the time to attend full-time education because of existing work commitments. Distance learning is an economical method of learning and many students are encouraged by their employers to commence a course to improve their competence at work. Premier School of Building advises students to arrange a mentor in their workplace to assist with the studies. Everyone deserves the opportunity to improve their skills at work including mature persons who have worked within the industry and wish to advance to more senior positions. Premier School of Building provide courses for those wishing to succeed in their chosen career within the construction industry and for those who are considering a move from other professions. Premier School of Building is not involved in obtaining entrance visa’s to the UK for students as all our courses are by distance learning and can be undertaken in a student’s own country of residence. No, our courses are designed for distance learning and you study at home or in your place of work and there is no face-to-face contact. Each single subject short course is designed to take 80 hours of study time and can be completed in 3 months although we allow 6 months to cater for pressure of work. This works out to be approximately 7 hours a week for 12 weeks. Generally 10 or 11 lessons. Study material generally consists of a manual (assessment pack) and reference book. For students enrolled on Traditional Construction, Building Maintenance and Measurement courses several drawings are also included. You don’t need to spend extra money on additional books as relevant material is provided, however you will be expected to research your chosen subject area using the internet and/or local libraries and collect information to be included in your Student Information Portfolio (SIP). Although our courses are not online you can send in your lesson answers by e-mail attachment if this is appropriate or by post if you prefer. Our courses are not delivered online, students will receive a physical study pack and materials and can submit their work either by post or email attachment. Students are expected to conduct research of their study area online. Students may post their lesson answers to the assignment handling office or send them by e-mail attachment if this is appropriate. All attachments must be sent in pdf format, other formats such as MS Word will not be opened or marked. Students studying architectural courses should send their lesson answers in by post only. For our entry level courses – No prior knowledge in construction is required. For our continuing level courses – It is recommended for some of these that basic construction knowledge would be required and in the more complex subjects a good construction background is required (see individual course information sheets). For students who wish to undertake one of our quantity surveying projects we recommend competence in both measurement and estimating. There are no examinations for Premier School of Building courses, all assessments are based on work submitted i.e. continual assessment. Assessment is based on students submitting their work for comments and grading. Grades of A, B, C, D and E are awarded ranging from excellent work (A) to re-submit (E). Students should work through the study material which will lead to the test questions. The test questions for each lesson should be answered in full and sent together with a completed work submission sheet to the Premier School of Building assignment handling office for assessment. The lesson answer will be assessed, graded and returned to the student with constructive comments as feedback were appropriate. A Premier School of Building diploma (single subject) or (combined) as appropriate will be awarded on satisfactory completion of a course. Satisfactory completion can be defined as assessment grades of level ‘C’ and above achieved consistently over the range of competences demonstrated within the lesson answers. There are no examinations. Our courses are designed for mature students to gain competence in the workplace and are not part of the National Framework. A mentor is simply an experienced person within your workplace who you can approach to assist you when drafting your lesson answers. Alternatively they could be a relation / neighbour who has experience in the construction industry and who has kindly agreed to assist you. Sometimes an individual lesson answer will not be up to the required standard but a re-submission of the lesson answer after guidance from the assessor which is given in the feedback sheet will usually put this right. Failing a course would mainly be due to not completing all the lessons within the 6 month time-frame. We allow 6 months to complete a single subject short course and 15 months to complete a bespoke course. Extensions to these timescales can be applied for in certain circumstances. All our assessors are professionally qualified and will do their best to give relevant feedback for each lesson answer. If a particular question proves very difficult to answer we suggest you skip that question for the moment and continue to complete the rest of the questions in that lesson and send in your lesson answer for assessment and comments. You can explain to the assessor what the difficulty has been and he/she will assist you so you can complete that question at a later date. Premier School of Building recommends all students prepare a Student Information Portfolio (SIP) which may include recent publications taken from trade periodicals, trade news-sheets, professional journals etc. Other useful information may come from researching the latest revisions of the British Standards, European Standards and Codes of Practice legislation. Information is readily available from a variety of government and commercial websites. To help improve your research and annotation skills, we’d recommend that you become familiar with the layout of these and make notes of the relevant web addresses rather than downloading excessive amounts of material. Each bespoke combined course is designed to further increase your skills and understanding in construction. Simply choose three single subject short courses from Entry and Continuing Levels to create your own bespoke combined course. This is perfect if you are looking to develop your skills for work as part of staff development; our combined courses are also beneficial to those who are self-employed. With full flexibility in completing the subjects combined with distance learning, our bespoke combined courses are a perfect fit for those with busy family and work schedules. From PSB combined diploma in Architectural Development to PSB combined diploma in Project Management, each bespoke combined course will give you the right tools to a successful future in construction. In the first instance potential students should ensure that they have read all of the course information, in particular the entrance requirements then visit the Apply Now page and complete the form. A member of the Premier School of Building team will then contact you. 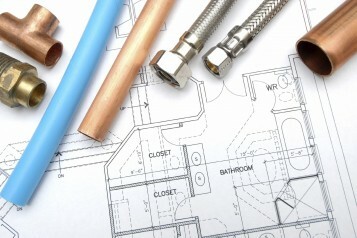 Alternatively email us with your requirements and we will be pleased to answer any queries. Students may pay by cheque or BACS. BACS details will be sent on successful application. Overseas students are required to pay by BACS. Yes! We would usually allow a £50 discount off the second and subsequent courses.